Have a question about the upcoming Afterlife With Archie series? Want to ask writer Roberto Aguirre-Sacasa about his method and inspiration? Concerned about the impending zombie apocalypse? Have a suggestion on how to combat the undead? Send all your burning inquiries/comments/testimonials to AFTERLIFE@ARCHIECOMICS.COM. Your letter may just appear in the letters column in an upcoming Afterlife with Archie comic. 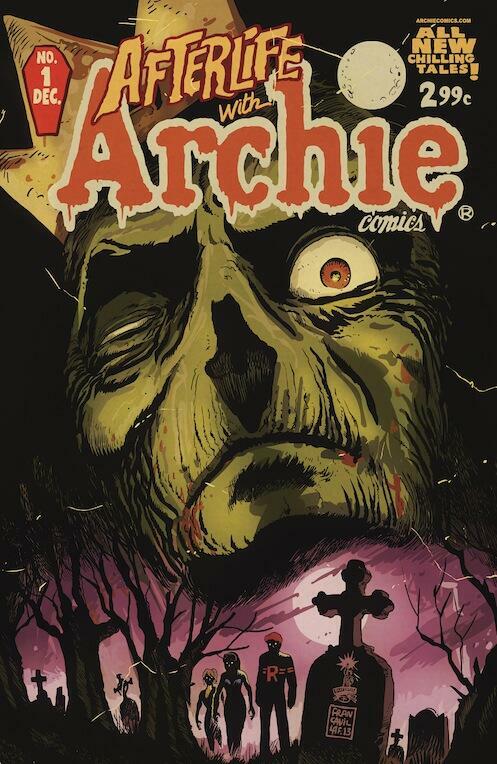 Afterlife with Archie #1 is on sale in comic shops October 9th, 2013. Check out the complete list of retailers that scored store-exclusive variants of the first issue drawn by Robert Hack here. For more info on the series, ‘like’ the Afterlife with Archie Facebook page and follow @AfterlifeArchie on Twitter.